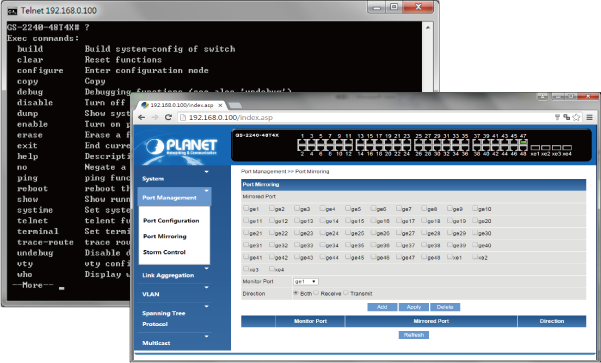 For the growing Gigabit network and IoT (Internet of Things) demand, PLANET has launched a new-generation Web Smart 1/10 Gigabit Switch solution, the GS-2240 switch series, to meet the needs of enterprises, telecoms and campuses for a large-scale network deployment. The GS-2240-48T4X is a Layer 2 Web Smart Switch, which comes with 48 10/100/1000Mbps Gigabit Ethernet ports and 4 10G SFP+ uplink slots. The GS-2240 switch series also provides a quick, safe and cost-effective 1/10G network solution for small and medium-sized businesses. PLANET has made a big leap in the evolution of Ethernet with its launch of the GS-2240-48T4X whose four 10G SFP+ slots support dual-speed, 10GBASE-SR/LR or 1000BASE-SX/LX, meaning the administrator now can flexibly choose a suitable SFP/SFP+ transceiver according to the transmission distance or speed required to extend the network efficiently. 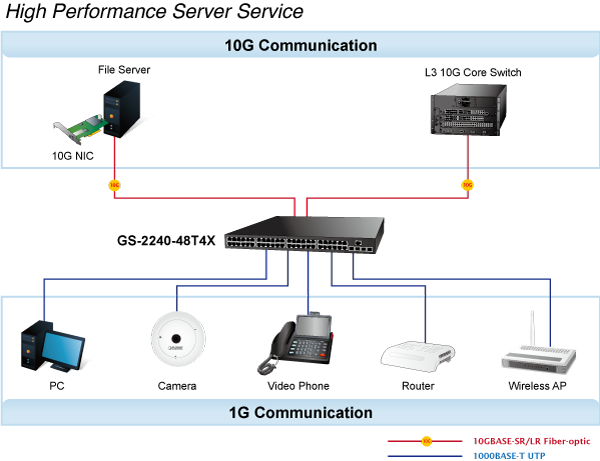 They greatly support an SMB network to achieve 10Gbps high performance in a cost-effective way because 10GbE interface usually could be available in Layer 3 Switch, which could be too expensive to SMBs. 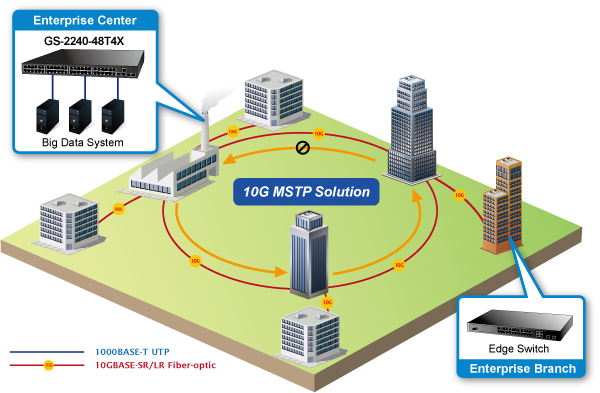 By means of improving the technology of Optical Fiber Ethernet with highly-flexible, highly-extendable and easy-to-install features, the GS-2240-48T4X offers up to 176Gbps data exchange speed via Optical Fiber interface and the transmission distance can be extended to 10km. The GS-2240 switch series features strong rapid self-recovery capability to prevent interruptions and external intrusions. It incorporates Multiple Spanning Tree Protocol (802.1s MSTP) into customer’s automation network to enhance system reliability and uptime. The GS-2240 switch series is the ideal Big Data solution for data centers, service providers and telecoms to build redundant connection and establish high bandwidth for server farm. 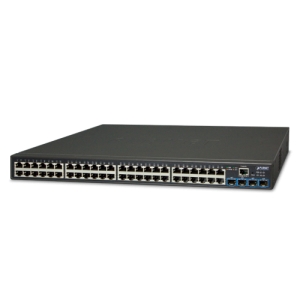 The GS-2240-48T4X performs 176 Gigabits per second non-blocking switch fabric so it can easily provide a local 10Gbps high bandwidth Ethernet network for the backbone of your department. With the four built-in SFP+ ports, the GS-2240-48T4X provides the uplink to the backbone network through the 10G Ethernet LR/SR SFP+ modules. It further improves the network efficiency and protects the network clients by offering the security features.